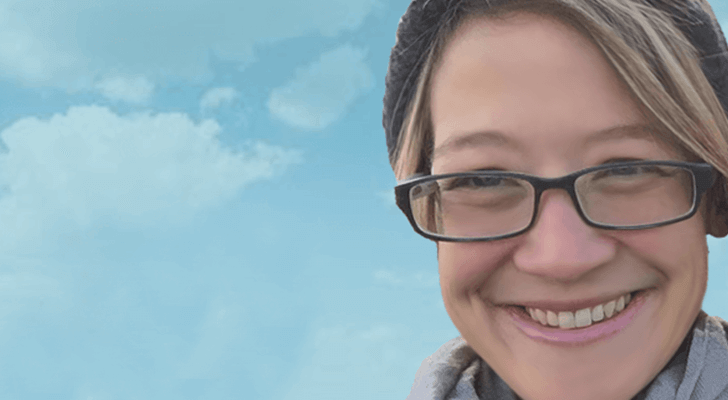 We spoke with iPipeline’s UX Designer, Maggie Paparella, about her Justinmind prototyping experience in and out of the office. Scroll down for big interactions, beautiful UIs and user-friendly user testing. Maggie Paparella graduated from Lycoming College, Pennsylvania, with a BA in Commercial Design. She’s been working at iPipeline – a SaaS solutions provider for tech distribution, finance and insurance – for a mammoth 14 years in a variety of departments, including Graphic Design, Project Management, Business Analysis, and now User Experience Design. As iPipeline’s *one and only* UX Designer, Maggie often works against the clock to complete her designs and present them to clients as efficiently and quickly as possible. Let’s explore how she has been able to integrate Justinmind into the design process to achieve these goals. Maggie started using Justinmind 2 years ago, after having tried out a few other tools on the market. After some research, she began testing Justinmind out for her own personal design projects, before introducing our tool to her team at iPipeline. She tells us that she found Justinmind simple to dive in to, in comparison with the learning curve that she experienced with other tools. Maggie was able to complete her project and validate our tool within one week, without having to go through a bunch of tutorials to get what she needed done. And she’s been using Justinmind ever since. Justinmind has become an integral part of the iPipeline user interface design process, from discovery and conceptualization to evaluating the final design specifications and deliverables. Maggie has piloted countless design projects in her 5 years as iPipeline’s sole UX Designer. During our chat, she presented one of her past projects to us. She was working on improving some features and functions that were to be added to a client’s product base. The prototype that she created with Justinmind PRO helped her to represent the new workflow of the features and present them to the external stakeholders. Her team wanted to validate and test the prototypes with external stakeholders to see if the designs made sense. Through Justinmind’s integration with user testing platform, Validately, they were able to achieve this very easily. But more on our integration further down. Download Justinmind today and improve your design thinking! When it comes to iPipeline’s agile workflow, Justinmind was able to fit right in. She recalls that the first step of a typical project is a brainstorming session, to prioritize, share and collect ideas and potential flows from her team about how they can get to work on the new features, all the while creating potential use cases. Then, Maggie creates a use case scenario where she’ll prototype some screens that will speak to the use case. The next step is to flesh out the details of each screen, and make them as realistic as possible using Justinmind interaction and events. It’s really important to Maggie and team that everyone is included in the feedback loop, no matter if the project is in flux or essentially complete. That’s why they always present and share their prototypes with stakeholders, and create a number of iterations to implement their comments. This set up ensures that all voices are heard, and the important bits aren’t left out; which can sometimes be the case with Agile. Moreover, with the interaction abilities of Justinmind, external stakeholders get a better idea of what the team has in store for them. Otherwise, how would they know what to expect? Working at a company dedicated to fostering open communication and innovation, collaboration is an extremely valuable asset. Although Maggie is the author of her projects, she also has a dedicated team working alongside her in both internal and external activities. Usually, she’ll present them with an idea or concept, they’ll map out some ideas with Justinmind and then they’ll review and revise them – after all, designers are problem solvers! So far, only Maggie has been interacting directly with the prototypes, but is looking forward to introducing the Teamwork and Sharing features to her team so that everyone can work on the prototypes, simultaneously. Maggie works closely with Product Management to develop her user interface designs further, in accordance with current market needs and business objectives. But additionally, she also works with third party UI Design companies when the work requires additional resources. So of course, being able to share her prototypes is essential. And when it comes to presenting a prototype to stakeholders, Maggie will hold a conference call. Everyone will be sent a private link to her prototype via email prior to the meeting so that they can all review it together. Maggie then adds comments to her prototype with their input so that everyone can see the feedback at once. According to a study on Modern Software Delivery, software companies are under ever-increasing pressure to deliver well designed, quality solutions more quickly. But when designers are under pressure to produce at this speed, details often suffer. Any UX designer worth their salt understands the importance of maintaining consistency, polish and alignment in projects, prototypes and brands. Industry standards are the cornerstone of great web design, and can make or break a UX Designer. The biggest and best thing for Maggie are Justinmind’s interactive widgets. She leverages what’s already been built – our pre-built widgets and widgets libraries – to avoid unnecessary rework. Then, she builds them up with powerful events, transitions and mobile gestures. In fact, Maggie tell us, Justinmind’s unique Events system was a principal driver of her decision to bring Justinmind into iPipeline. She can feel the difference when she and her team need to present their designs to stakeholders for validation and approval. As of February 2016, Justinmind has been working alongside Validately to provide users with an optimal way to execute user research and testing. “I just stumbled on it”, she says when asked how she found out about the integration. Maggie works in a very fast-paced environment, and is the only one who works in UX. The integration made it easier for her perform usability tests without the need for additional learning. She had people responding to her tests internally. The feedback was quick and efficient, and she had no problems understanding where they were coming from. Once they had the feedback, she and team were able to create revisions and iterations right away, the same day. Maggie has performed moderated testing using a WebEx and a script and Usability Hub in the past. She tell us that the integration has helped her to simplify and streamline the team’s user testing processes. Currently, she is performing internal testing with Justinmind and Validately, but expects to extend it to external participants in the near future. A big thank you to Maggie for sharing her prototyping life with us! And as always, we’d love to hear about your experience with Justinmind. If you’d like to get involved, just send us a message and we’ll be in touch!